Forms of the word "repent" appear in the Bible 37 times. It is the most common theme found in the exhortations of the prophets, and its imperative is found in the book of Revelation six times. Scripture consistently reveals an intrinsic relationship between repentance and salvation. It should surprise no one that it is the central message of the preaching of Jesus Christ. 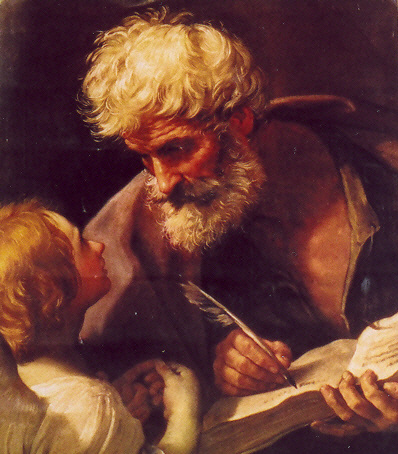 In the Gospels of St. Matthew and St. Mark, the message of repentance is the first command given by Christ. Even prior to Our Lord's public ministry, St. John the Baptist preached a baptism of repentance, calling man to admit of his debt to God and to turn back to Him with all his heart. Jesus would elevate this relationship with God - allowing us to call God "Father" and giving us access to Him in friendship. Estranged from God, Our Lord calls the human person to respond to His perpetual invitation to love by acknowledging personal sin and cooperating with God's grace to overcome temptation and confess one's guilt with the intention of not sinning again. It is in repentance that the human person finds true liberation - freedom from the wages of sin and the discovery of an authentically integrated life in Christ. In the modern world, the message of repentance often goes unheeded and unheard. To modern man, the word "repentance" carries with it negative connotations because it boldly suggests that the human person commits sin and is in need of conversion. The way of the world preaches the exact opposite message. Rather than acknowledge our estrangement from God caused by our disordered actions and desires, the world preaches, "It's all good! Sin? What's sin?" Instead of challenging the human person to conversion, the world teaches, "You've gotta do what's right for you. As long as you're happy, go for it!" The Catholic response, faithful to Jesus' mandate to repent, assumes two premises. First, it acknowledges and accepts the simple fact that we are sinners and are in need of conversion. "Catholic guilt," maligned in popular culture, should be viewed in a positive light since it is an indicator that beneath one's sinfulness lies an ember or virtue that can be stoked into the fire of repentance and conversion. The world would have us believe that one ought to be free of feeling guilty since the truly free person is the one who follows their own whims and has been liberated from the oppression of shame. In this paradigm, the individual, not God, has become the Almighty. Here, His dominion over us has been usurped by personal willfulness and narcissism. Second, fidelity to Christ's mandate to repent assumes that conversion is in fact possible. By God's gracious mercy, the human person can respond to God's invitation to re-establish friendship with Him and be healed of spiritual infirmities. Conversion starts with God and depends on our response to His grace. We ought to marvel at the fact that even the grace to respond correctly is itself born of God's initiative. Not even the most hardened sinner is hopeless, in this regard. Conversion is always possible, so long as the human person willingly chooses it for himself. Some people are trapped in the mindset that they are beyond forgiveness - that their sins are too heinous and too numerous for God's mercy to overcome. This lack of trust (hope) implicitly renders Calvary impotent of its redeeming power. Trusting in Christ, may His invitation to repentance and conversion draw us into greater love for our merciful God, who sent His only Son to die for us so that we may be saved.